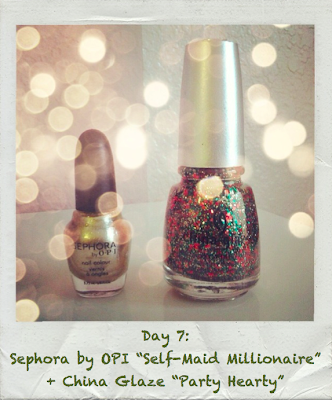 What I Blog About When I Blog About Books: 7th Day of Christmas: Sephora by OPI "Self-Maid Millionaire" + China Glaze "Party Hearty"
7th Day of Christmas: Sephora by OPI "Self-Maid Millionaire" + China Glaze "Party Hearty"
Here's the 7th day of my 25 Days of Christmas Manicures. 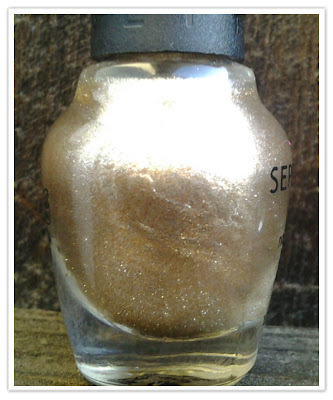 It's a combination of Sephora by OPI's "Self-Maid Millionaire" and China Glaze's "Party Hearty." Sephora by OPI's "Self-Maid Millionaire" is a polish that came in the Sephora by OPI Cinderella collection. It's a cool golden foil with a mix of silver. I swatched this polish next to OPI's "Glizterland" and I can hardly tell the difference between the two. The foil finish of this polish has a lovely shine. I mentioned in earlier posts that "Party Hearty" would be a recurring polish throughout this series and I wasn't exaggerating. 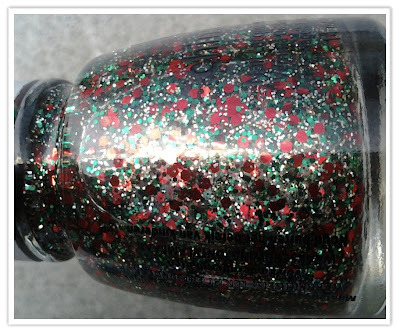 It's a chunky glitter that has red, green, and gold glitters. If you would like to see this polish over a white base, I did that combination for the 3rd Day of Christmas. Though I probably prefer "Party Hearty" layered over the white base more than this combination, I think this combination is extremely festive as well, and almost more wearable. The gold doesn't provide as strong a contrast, and the base balances out the glitters well since the gold glitters in "Part Hearty" are the smallest and least noticeable. I enjoy the brightness of the gold foil underneath. 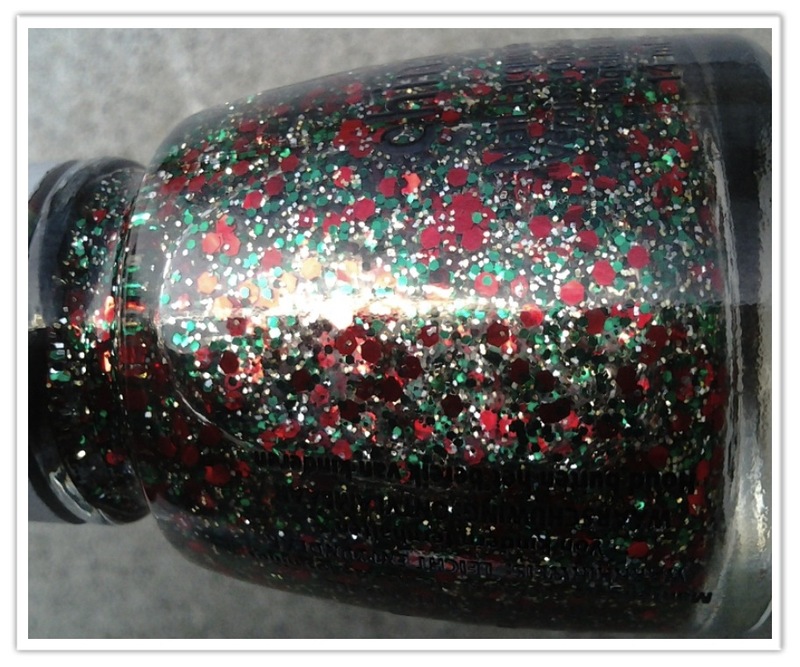 The green and red glitters really stand out in this combination. I have been enjoying this combination a lot. 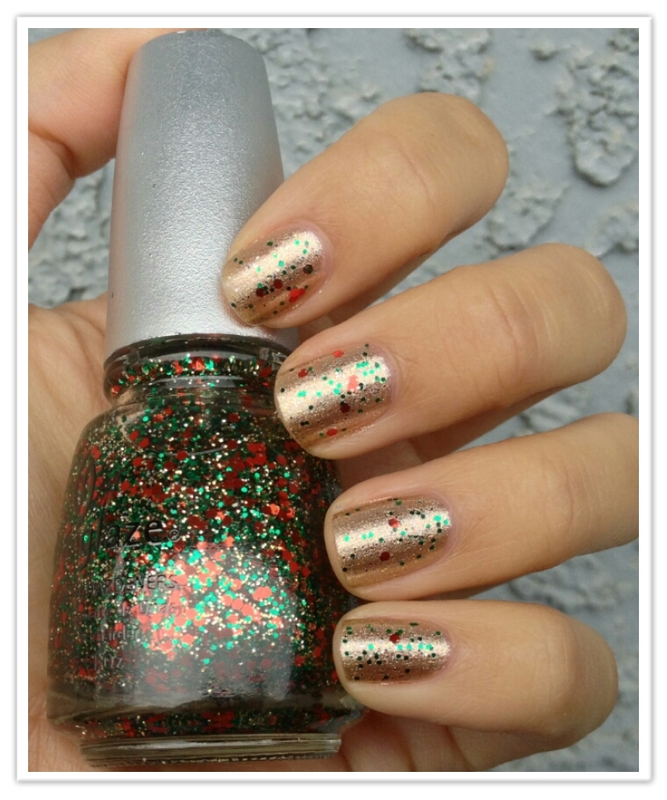 The foil finish of "Self-Maid Millionaire" is beautiful underneath the chunky glitter. The more of these polish combinations I do, the more excited I get for the holidays, and I hope looking at these combinations is making you feel the same way too!